Why Does Coalition Strike Syrian Army? 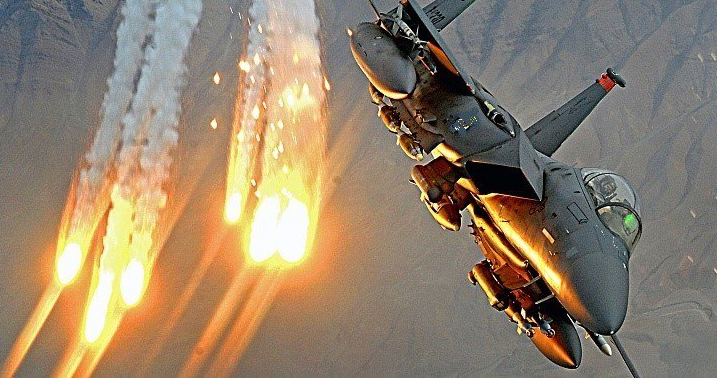 On June 6, the U.S.-led International Coalition jets once again attacked the Syrian Arab Army (SAA) positions in southeastern countryside of the Homs Governorate, targeting a unit advancing towards the Al-Tanf Crossing. At least two SAA servicemen were killed and over 15 were badly wounded. It is not the first time when the United States attack the government forces positions’. Previously on May 18, carried out the similar attack and killed a number of soldiers and destroyed several vehicles. The Syrian Defense Ministry immediately assessed the incident and released a statement. It is said that this aggression confirms once again that the coalition’s support for terrorism at a time when SAA and its allies make daily progress in fighting ISIS terrorist organization. In addition, the U.S. aggression led to escalation of the situation in the region and the Syrian authorities called on the coalition not to not carry out such aggressive actions under any pretext. Moreover, a number of states condemned the U.S. strike. In particular Iran sharply criticized the incident. Secretary of Iran’s Supreme National Security Council Ali Shamkhani said that such an aggression and strengthening the presence of armed forces in the Arab country will only deepen the ongoing crisis. Actually, the U.S. military campaign in Syria has brought nothing except numerous casualties among civilians and the disruption of key urban infrastructure. The Americans invaded the territory of Syria under pretext of fighting terrorist organizations. However Raqqa which they have been trying to liberate under support of the Kurds since last November is still under control of ISIS. Trying to justify the air strike, the Pentagon said that it was carried out in order to secure its own military base. Allegedly the U.S. military instructors teach the local population how to fight terrorists on this base. However, nobody can guaranty that after passing over the U.S. trainings the population will start fighting terrorists but not the Syrian government. The attack justification under pretext of the military base security also raises doubts. As during the attack the Syrian troops were at a distance of 50 kilometers from the base. Even theoretically, they could not harm it considering the lack of weapons to use against the Americans. That moment except of the artillery mounts and a tank SAA had nothing . Consequently the justification of pentagon sounds fishy. Despite the barbarous attempts of the Western countries to prevent the political settlement of the Syrian crisis, the Syrian army and its true allies must continue its large-scale offensive against ISIS and other terrorist groups across the whole country. As only they have a legal right to fight for the freedom and independence of their own state.